Gone are the array of Autumnal pumpkin spice lattes and candy cane flavoured Christmas drinks that recently filled the Starbucks menu. It's a new year and to kick off January 2019 with a bang, the popular coffee chain has launched a brand new drink for all their customers to enjoy. However their new hot beverage has left coffee lovers feeling rather bemused with many unsure just what they should make of the drink, which is intended to taste like cereal. So what is the quirky new drink, you ask? It's called a cereal latte and it's made from a powder comprised of oat, barley and wheat - which are the three main ingredients in a bowl of Cheerios. To create the drink, Starbucks blend together a shot of espresso with the cereal powder, then pour over some vegan oat milk before topping the whole thing with crispy pieces. 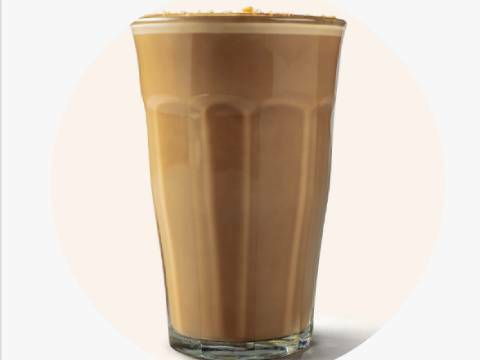 The company explained that oat milk is used as the default option for the drink as it "brings out the best flavour". So far the drink hasn't been received very well on social media - with some advising not to buy it and others just left feeling baffled. One person took to social media platform to serve a public service announcement about the product, she wrote: "PSA - do not under any circumstances try the new cereal latte at Starbucks." Another commented: "Starbucks now do a cereal latte and I have no idea how I feel about it." A third added: "Starbucks what the f*** is a cereal latte?" "Sorry Starbucks but the new cereal latte sounds horrible," posted a fourth.